My very first submission here. 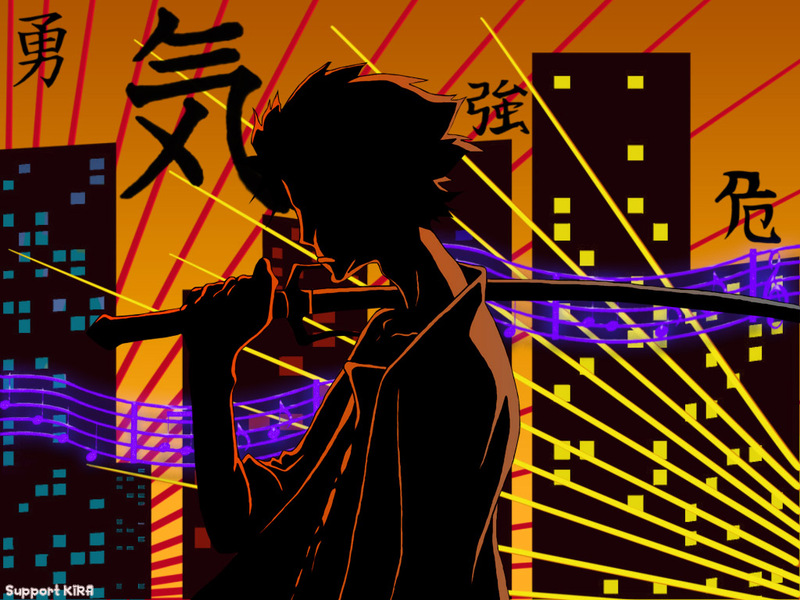 :) I made this wallpaper with the thoughts of how Mugen fights...kind of like he's dancing. :) Therefore, with the soundtrack for the show, I thought it only appropriate to have the music, as well as a cityscape type scene. Browse Mugen Gallery: Recent | Popular. if you work on the execution a bit i say this would be a marvelous wall! I agree with vitaamin, it is too small, everything looks better in widescreen doncha know? However, I think that the purple notes look fine, could stand to be a bit sharper, but it's good as is. There aren't many good building brushes, I'd go with a vector set if you can find it, or a stock image. Sorry >> maybe I'm not giving good advice, that's life.